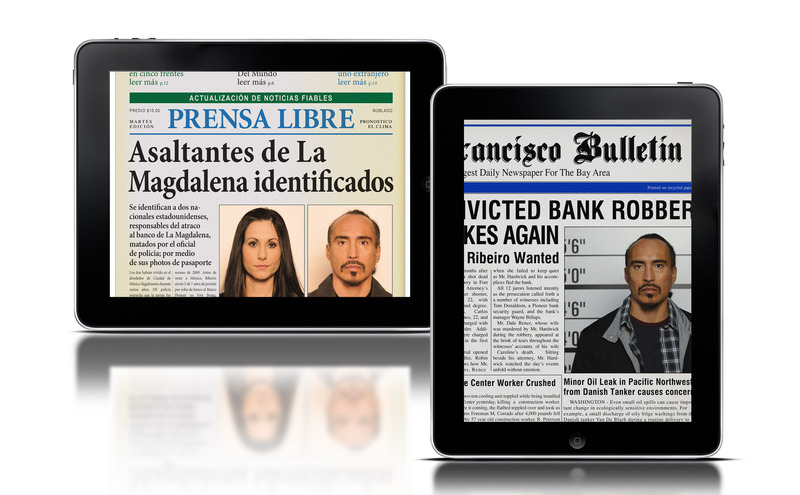 To create a series of Mexican and American newspaper articles which would appear on the actor’s iPad. text translated and combine all these elements into the format of archived articles. The files were sent to the Playback Department to animate. The entire process occurred within a few day period.